Timothy P. Kelly, age 62, of Cottage Grove, passed away on Wednesday, August 29, 2018 after a courageous yearlong battle with cancer. Preceded in death by parents, George and Marge Kelly; brother, Michael Kelly; and father-in-law, Harry Darst. Those grateful for having shared his life include his wife of ten years, Heidi (Darst); daughter, Kristy (David) Vincent; stepson, Justin Darst; grandchildren, Kaira, Harley, Auzora, and Leif Vincent; many siblings; and countless family and friends. Tim worked for the USPS for 38 years and retired in January 2013. 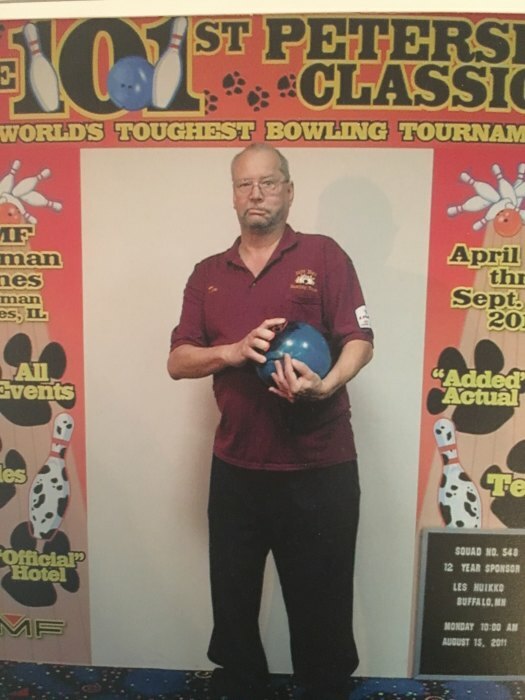 He enjoyed bowling and traveling, as well as spending time with his beloved grandchildren. Graveside Service will be at 11 AM, Wednesday, September 5, 2018 at Union Cemetery, 2505 Minnehaha Ave. E., St. Paul, MN, 55119. In lieu of flowers, memorials are preferred to the Angel Foundation, 1155 Centre Pointe Drive, Suite 7, Mendota Heights, MN, 55120 or info@mnangel.org.